Our company has extensive experience of sanitisation and disinfection after builders. 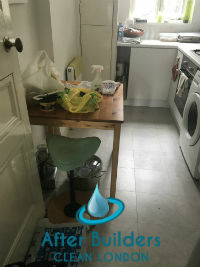 Over the years we have undertaken wide range of cleaning projects all across Brixton. Our after builders cleaning services can be tailored to every customer’s need no matter whether for commercial or residential premises. We can assure you that your home or office will look its finest at a very reasonable price. We can handle every cleaning task you have prepared for us. It does not matter if you need deep cleaning after a bathroom installation or you just need somebody to get you rid of all those paint spills and rubble all over the floors, we can get it all done in the best possible way. Every renovation is beneficial for our homes, no matter if small repairs or some big project. Everything seems fine until we see what the builders have left- paint spills, concrete deposits, plaster, dust, debris, etc. In order to enjoy your home and its new appearance, you need to remove all the leftovers which will probably take you up to several days and will surely make you feel exhausted when you are finally done. Why would you cause yourself such trouble? We believe in our power to tackle any cleaning task, no matter how difficult it may be. We have spent great years in improving and developing our technologies. Today, we are proud to have such vast community of regular and satisfied customers. We offer you to book with our after builders cleaning services in Brixton and we can take care of your home. For always perfect results in cleaning we rely on our hard working and qualified cleaners. For your peace of mind we have their background checked and we have provided them with indoor training practices enabled them to handle any challenge. We are available in Brixton Monday through Sunday. 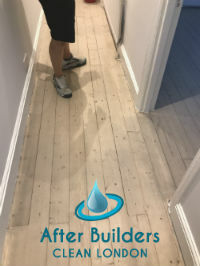 Benefit from our after builders cleaning services and we will bring the sparkle in your renovated home, getting you rid of all the dirt and debris.